Continuing uncertainty created by the Brexit process is causing buyers and sellers to sit tight in increasing numbers, according to the November 2018 RICS UK Residential Market Survey. 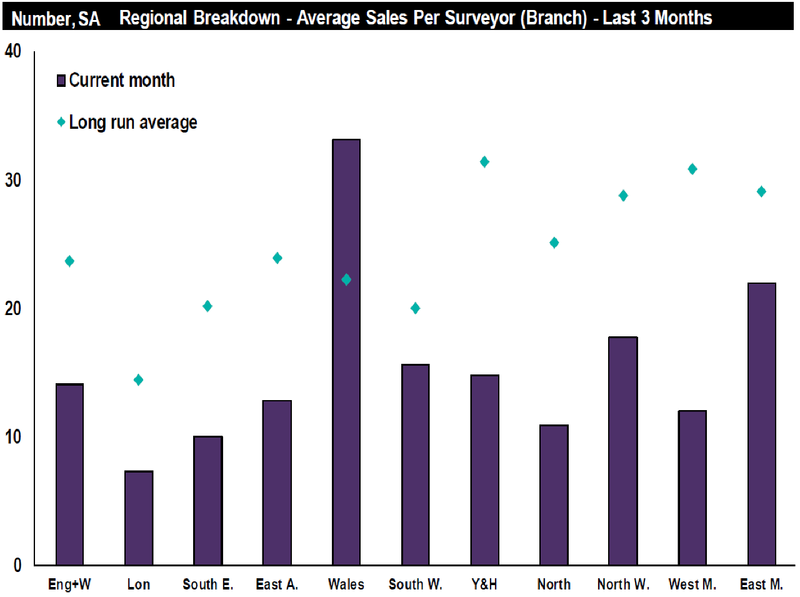 The results from the latest survey show a weaker trend in sales than previous months with the headline indicators for demand and supply falling once again, as almost half of respondents cite political uncertainty caused by Brexit as impacting the UK housing market. The number of people looking for a new home fell again in November (net balance of -21% down from -15% in October), with many comments attributing this to Brexit uncertainty. Another contributing factor is the continued limited choice of properties for sale. The number of new properties being listed for sale fell for the fifth consecutive report, and the net balance of -24% was the fastest pace of decline in supply noted in twenty-eight months. 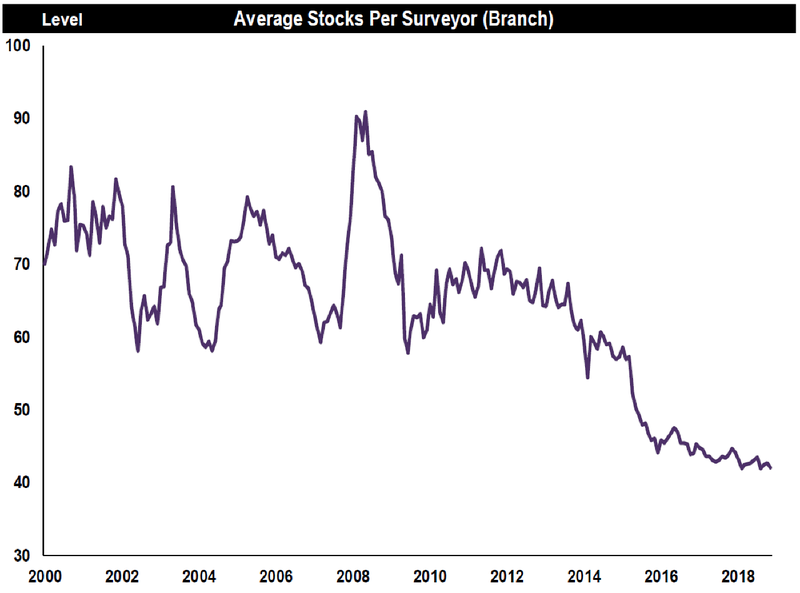 This lack of new stock is impacting estate agents' average stock levels with agents now only having, on average, 42.1 homes for sale. The number of new appraisals by property valuers is also down in comparison to a year earlier. With little choice for new buyers and fewer people interested in moving, the number of agreed sales fell in November. The UK headline net balance moved to -15% from -10% and this sentiment is reflected in almost all areas of the UK. I can’t recall a previous survey when a single issue has been highlighted by quite so many contributors. ...it appears that those looking to buy and sell homes across the price spectrum, as well as those looking to invest in the UK’s residential sector, are putting off decisions until there is more certainty. Looking ahead, contributors don't see any change on the horizon. 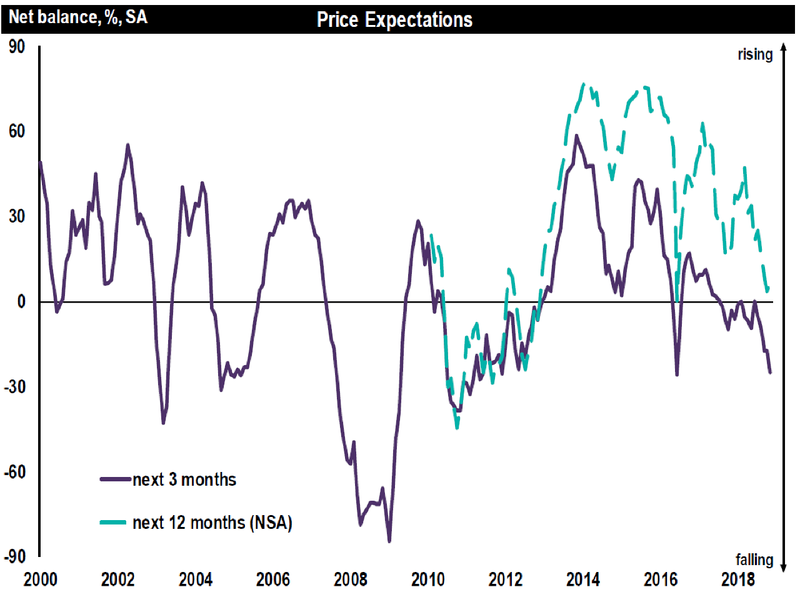 Sales expectations, for the coming three months fell from -6% to –23% in November, the most substantial decline in this series since the EU Referendum result. The impact of softer demand is also visible in the key price balance, which slipped from -10% to -11% in November. 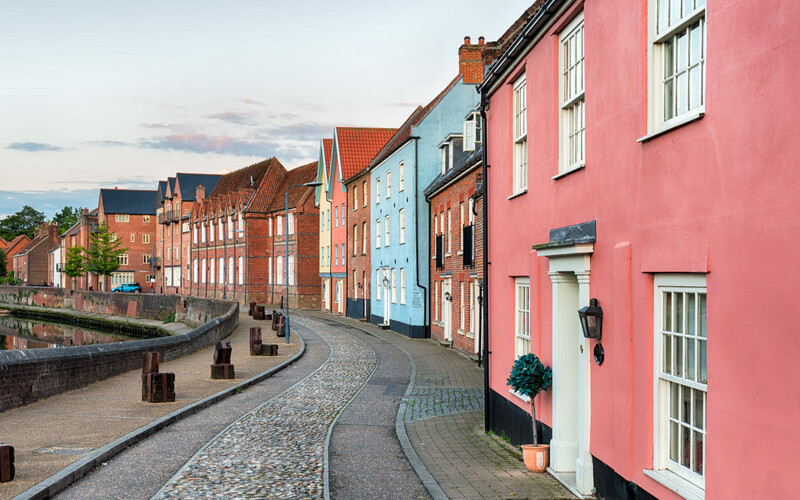 As seen in previous months, the regional picture remains varied, with house prices falling most notably in London, South East and East Anglia whilst the South West, East Midlands and North East are broadly flat. Rises were seen in Northern Ireland, Scotland, West Midlands, Wales, Yorkshire & Humber and the North West. In the lettings market, demand from prospective tenants is holding steady, however, the number of new instructions continues to fall signalling a continued decline in the supply of fresh rental stock. As a result, rents are expected to rise modestly over both three- and twelve-month horizons. Simon Rubinsohn, RICS Chief Economist said: "It is evident from the feedback to the latest RICS survey that the ongoing uncertainties surrounding how the Brexit process plays out is taking its toll on the housing market. Indeed, I can't recall a previous survey when a single issue has been highlighted by quite so many contributors. "Caution is visible among both buyers and vendors and where deals are being done, they are taking longer to get over the line. Significantly the forward-looking indicators reflect the suspicion that the political machinations are unlikely to be resolved anytime soon. The bigger risk is that this now spills over into development plans making it even harder to secure the uplift in the building pipeline to address the housing crisis." Hew Edgar, RICS Head of Policy commented: "RICS shares the resounding sentiment of frustration from our professionals operating in the UK's residential sector; and we are not surprised by this month's outcome. Brexit was always going to be a very politically charged debate, but the current style of politics and continuing level of political uncertainty is significantly impacting the housing market and built environment. "Prior to the referendum, our research indicated that Brexit would only impact the higher end of the residential market, as the lower and middle market areas are domestically driven. Now, however, it appears that those looking to buy and sell homes across the price spectrum, as well as those looking to invest in the UK's residential sector, are putting off decisions until there is more certainty. "Parliamentarians need to work together to make sure politics, the future deal and our relationship with the EU works for the built environment." The UK Residential Market Survey is used by the government, the Bank of England, the IMF, and other key institutions, as an indicator of current and future conditions in UK residential sales and lettings.